One of the images used in the San Diego Tourism Authority ad campaign. Who knows how many New Yorkers, hunkered indoors by the weekend blizzard, drooled while watching TV commercials from the San Diego Tourism Authority. New York City, along with Chicago and Dallas, were the first markets this past weekend for the tourism authority’s “Happiness is Calling” advertising campaign touting San Diego as a vacation destination. The tourism authority’s so-called “spring-summer” campaign will run through June and include TV, print, digital and billboards. The campaign’s $10 million budget compares to $8.9 million spent in 2014 and $15 million in 2013 during the same time period. This year’s campaign theme, “Happiness is Calling,” developed by San Diego ad agency MeringCarson, first debuted in 2011. “The current campaign represents a complete refresh of that popular 2011 campaign,” said Dave Mering, MeringCarson founder and CEO. “The only component of the previous work that remained unchanged was the slogan itself and the tonality and feel of the work. The tourism authority said advertising is planned for consumers in major U.S. cities, as well as in Canada and the United Kingdom. New markets for TV commercials this year include New York, Chicago and Dallas. TV spots also are airing in such feeder markets as Seattle, San Francisco and Sacramento. Print ads are planned for several magazines, including Travel + Leisure, Conde Nast Traveler, Golf Digest, Sunset, Bon Appetit, Runner’s World and Real Simple. Digital advertisements will run on HULU, ABC, FOX, TripAdvisor and USA Today. Digital billboards are planned for Los Angeles and Phoenix. The authority says 34.2 million visitors came to San Diego in 2015 and spent $9.9 billion at local attractions, shops and restaurants. Also last year, tourism in San Diego generated a record $266 million in hotel tax revenue and provided jobs for 173,000 local residents. A change at the top has been announced for San Diego’s KFMB Stations. Pat Nevin is out as president and general manager, succeeded by Alberto Mier y Teran, who will begin Feb. 1. Nevin’s last day was Friday. The KFMB stations, owned by Midwest Television Inc., include KFMB-TV/Channel 8 and two radio stations, KFMB 760-AM and KFM-BFM 100.7-FM. Midwest officials had no comment on a reason for the change. 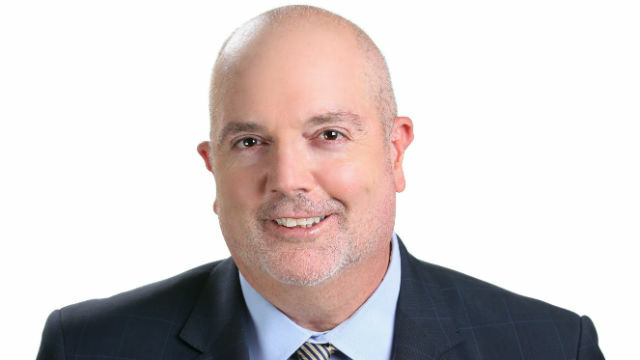 Nevin arrived at KFMB in August 2011, after working the previous 14 years with Fox-owned TV stations in Memphis (WHBQ), Seattle (Fox Sports Net Northwest) and Phoenix (KSAZ, KUTP and Fox Sports Network Arizona). 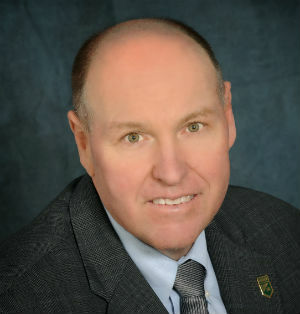 Nevin was named 2014 TV general manager of the year by Broadcasting & Cable Magazine, an industry trade publication. The award was for stations in markets between #26 and #50 in size. The Nielsen Company ranks San Diego’s TV market as #28. In his spare time, Nevin competes in triathlons. His next event is the Coeur d’Alene Half-Ironman in June. Mier y Teran is returning to KFMB where he worked in local and regional sales positions from 1995 to 1999. He spent the past 16 years with Entravision Communications and Univision Communications. Most recently, in 2014 and 2015, he served as executive VP of Univision Television Group overseeing operations, sales and strategic direction for Univision’s media properties in New York, Los Angeles, Chicago, Bakersfield, Phoenix, Tucson and Houston. In Los Angeles, from 2011 to 2014, he served as senior VP and GM at Univision stations KMEX/Channel 34 and KFTR/Channel 46. In San Diego, from 2000 to 2010, he led station operations at Univision’s KBNT/Channel 17 and Entravision’s KDTF/Channel 36. While previously living in San Diego, Mier y Teran served on the board of directors for the San Diego Regional Chamber of Commerce, Big Brothers Big Sisters of San Diego, YMCA of San Diego and the Mayor’s Science and Technology Commission, as well as the San Diego Padres Baseball Club board of directors. 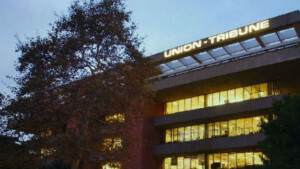 The San Diego Union-Tribune has begun tenant improvement construction at its new offices at 600 “B” St. in Downtown San Diego. Pacific Building Group is the general contractor. The value of the construction contract was not disclosed. Move-in is planned for May. About 350 reporters, editors, designers, circulation staff, digital specialists and advertising staff will occupy four floors, comprising 59,164 square feet of office space on floors nine to 12. The space was previously occupied by the city’s public works department. In November 2015, the newspaper, owned by Tribune Publishing Group, announced it had signed a 15-year lease valued at $40 million and would vacate its Mission Valley facility at 350 Camino de la Reina, just south of Fashion Valley mall. It was 42 years ago, in 1973, when the Union-Tribune left downtown. York said plans are being reviewed to install the newspaper’s name at the top of the north and south sides of the 24-story high-rise owned by Lincoln Property Co. The newspaper previously operated a downtown bureau on the building’s 23rd floor. In the paper’s 147-year history dating back to October of 1868, the paper has occupied eight downtown locations with the most recent being 919 Second Ave.
SDX, formerly the San Diego Ad Club, will host “Who Owns What Intellectual Property? What Every Business Owner and Creative Needs To Know,” a seminar on avoiding legal dangers in advertising, from 8 to 10 a.m., Wednesday, Jan. 27, at the Hilton San Diego Mission Valley, 901 Camino Del Rio South. Speaker will be attorney Barry Soalt, partner, Procopio, Cory, Hargreaves & Savitch LLP. Soalt specializes in intellectual property law, patents, trademarks and copyrights. He will discuss avoiding copyright and trademark infringements in the creation of artistic, graphic and textual content, how to minimize liability when using names, brands, marks, bylines and slogans and best practices to reduce potential exposure to monetary damages. Cost to attend is $45 for members, $65 for non-members, $35 for students. Continental breakfast is included. To RSVP, visit www.sandiegox.org.